Die Suche nach einem gebrauchten V650 ? Topwedm Machine Tool Co.,Ltd founded in 1986, is a comprehensive enterprise group integrated with production, R&D and trading. 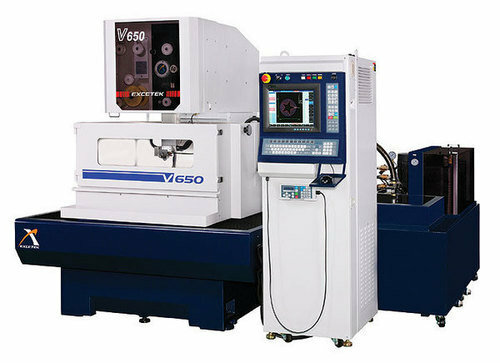 Main products: High precision medium speed wire cutting EDM machine, Intellective high speed wire cutting EDM machine, EDM die sinking machine, EDM drilling machine, and other EDM processing equipment. Our international trading office is based in Hong Kong, and our factory is located in Guangdong Province,China. By introducing large-scale industrialization and technology, transformation, assimilation, and re-innovation, we constantly improve product quality. We have a number of internationally advanced technology processing equipment, quality control equipment and a high-quality, high-tech workforce. Our annual output of various electrical machines is more than 1,000. Our strict product design, assembly and testing process ensure superior manufacturing capability, and stable and reliable product quality. As a professional EDM machines tool manufacturer, we provide clients with high quality products and best service by advanced technology, scientific management, and continuous improvement. The state-of-the-art design together with clean workshop environment, high quality components, good assemble skills and strict inspection make our machines achieve high reliability and stability standards. With high quality and professional service, our EDM machines sell well in China market, and have been exported to many foreign regions such as Southeast Asia, Africa, South Africa, Middle East, South America and Europe. The annual output of various EDM machines reaches more than 500 sets. Welcome to contact us for more details about edm machines, looking forward to cooperate with customers from all over the world. Mit Blick auf einen neuen Kauf TOPWEDM V650 ?